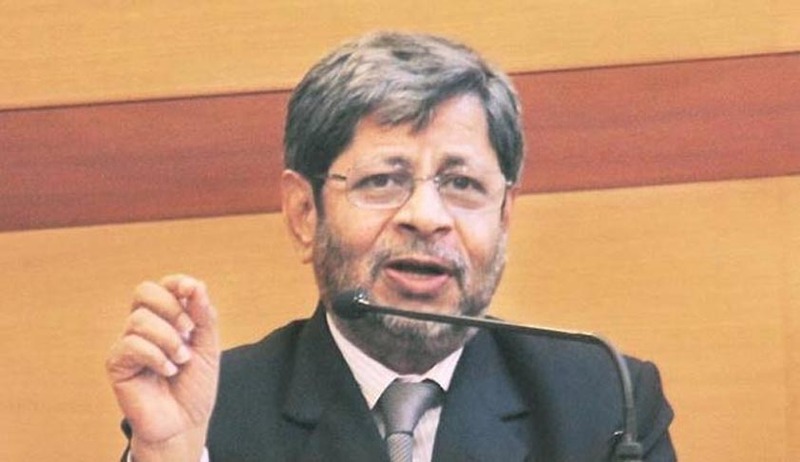 Sreehari Aney, the Advocate General of Maharashtra resigned over his comments backing a separate Marathwada state, which sparked a controversy in Maharashtra’s political arena. As per officials, Sri Sreehari Aney arrived at the Governors residence on Tuesday morning and submitted his papers to Governor C Vidyasagar Rao. Shreehari Aney has submitted his resignation to the Governor. Whether to accept it or not, is his (Governor's) prerogative," an official from the Governor's office said. Aney’s comments on a separate statehood created a chaos in the state Assembly, when Shiv Sena, the ally of the ruling party sided with the opposition demanding his resignation. Owing to these incidents in the Assembly, Chief Minister Devendra Fadnavis asked Aney to render resignation. Sreehari Aney had earlier sparked controversy when he called for a referendum for a separate Vidharbha state. But Chief Minister Fadnavis stood by him and declared that here is no need of a resignation. On Sunday at an event Aney is reported to have said “Marathwada bore more injustice than Vidarbha and should therefore be independent. Pressure has to be put at the Delhi level to form a separate state as the demand does not come under the purview of Mumbai." This prompted the Shiv Sena and the opposition parties to move separate in the Assembly seeking Aney’s resignation.